I remember exactly where I was twelve years ago on that fateful day when the world was shocked and rocked by the inconceivable attack on New York and D.C. took place. 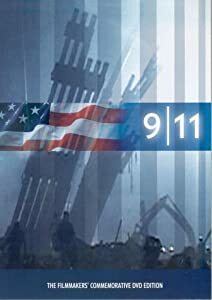 I happen to be at home that day and was literally just waking up the very moment that the first plane was being reported on television as having hit the first World Trade Tower. It was unimaginable that it could have been an attack; yet at the same time you couldn’t see any other possibility as you considered how likely it could be that a veteran pilot could have had that big of a problem avoiding crashing in such a manner. When Tragedy Hits, Communities Commit: You really get a real sense of what real community is all about when trouble comes. There is nothing that seems greater than tragedy that can unite a community like when a major problem arises. You saw on that day, as well as when Hurricane Katrina struck. People naturally forget that life is solely about the individual, but rather every person within their scope; regardless of race, sexual orientation, religion, personal ideologies, or political affiliations. Everyone exhibits the spirit of The Good Samaritan. Everyone Remembers God Exists: Whether you blamed Him or were praying for answers, there was no one who did not consider or forget that God existed. Millions of people prayed in those hours and well after. People relied on faith to get them through. If there is no great thing that came out of this, it was the commitment of many who recognized that they had a need for God. If there is one thing that I sincerely pray that this day brings about for the millions of people around the world; it’s that if we all remember God in our everyday lives, and love and live as true neighbors with genuine care and concern for one another; not just in tragedy, but also when things are going well, real community will never be lost. QUESTION: What are your thoughts as you remember 9/11/01? Thanks for sharing all these tributes of the day and linking my story with it. This was such a great birthday tribute to your brother. I know how weird it can be to have to share your special day with such a world altering event. So glad you could honor your brother and show what truly matters. Thanks also for linking my story to yours. Wish your brother happy birthday for me. ← Who Has The Power?